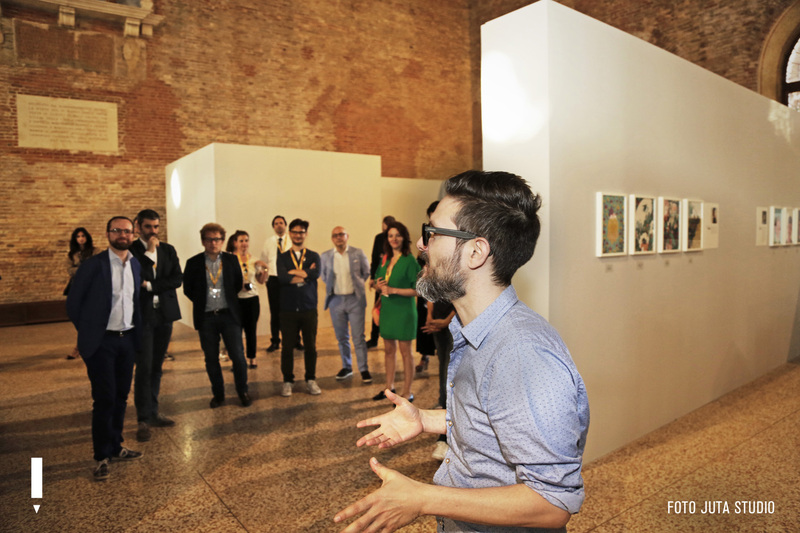 From 27 May to 25 June Vicenza hosted the third edition of Illustri, the Italian illustration festival, which this year involved over 90 illustrators – including Noma Bar, Robert Newman, Ray Oranges and Davide Toffolo – with 8 different shows and over 500 works exhibited. We got together with the festival’s curator, illustrator and cartoonist Ale Giorgini, and talked to him about Illustri and the state of Italian illustration today. Ale Giorgini has worked for brands including Puma, Emirates, Warner Bros. and Sony, as well as Italian national newspapers Il Corriere della Sera and Il Sole 24 Ore, which makes him ideally placed to advise newcomers to the illustration world and share his thoughts on that key word: creativity. Ale, where did the idea for Illustri come from? To tell the truth, Illustri happened almost by chance. It came about in 2013 when I was given the chance to use a very special venue in Vicenza: the Basilica Palladiana. At the time, I decided to “pick” a sort of football team — a national team of Italian illustrators — calling up 11 of the best representatives of Italian illustration. 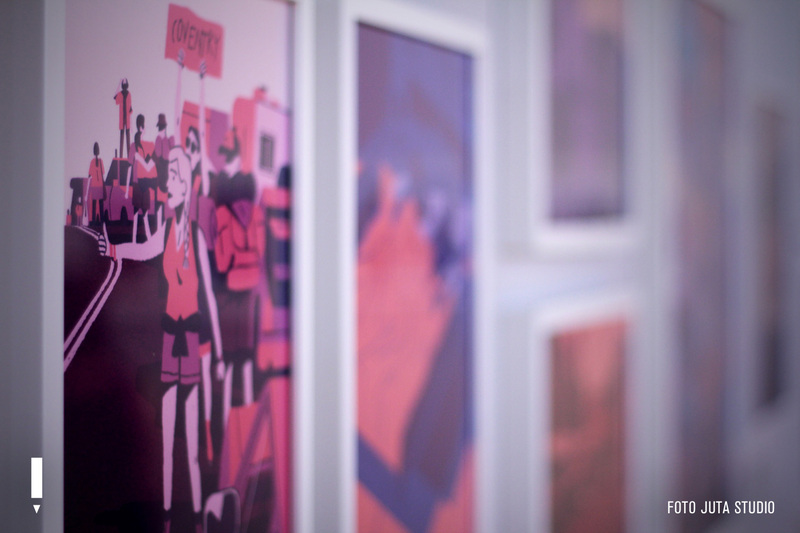 The first event was simply an exhibition, without any ambitions to become a festival or have a sequel. Then we saw all the energy and interest that it generated. So out of this came the arts association and finally the biennial festival. Today, Illustri aims to shine the spotlight on the Italian illustration scene, which is full of quality and talent. It’s also a place where industry professionals can get together: there are shows, training events and forums dedicated to members of the association. How has Italian illustration changed over the last few years? Over the last 15, 20 years, it’s changed drastically. Illustration used to be seen as something associated exclusively with paper and the world of illustrated books, but today the illustrator is an integral part of the creative process, from the world of communication, to animation, advertising and social networks. And then there’s the enormous impact that technology has had on the profession. First, the tools have changed, so much so that some illustrators – like me – no longer use paper. But market sectors have also changed and now illustrators have the opportunity to work in other areas, not just the world of children’s books. What are the strengths of Italian illustration? The esteem with which Italian illustrators are held in the world is demonstrated by the prizes and awards that many of them receive each year. Last year, for example, the Society of Illustrators honoured Lorenzo Gritti and Francesca Sanna, who this year are exhibiting at our festival as part of the Saranno Illustri show. The year before, Matteo Berton – featured in Illustri’s main show – won two gold medals: one for advertising work for Timberland and the other for an illustrated edition of the Divine Comedy for schools. Italian illustrators are undoubtedly appreciated for their creativity and flexibility. We’re a creative people able to overcome challenges, and we’re used to being agile. Creativity is a strange beast. Folly and discipline, order and chaos, madness and normality, rigour and invention – these must all coexist in it. Often we think of creative people as wild and incoherent lunatics. That’s not the case: there’s definitely some irrationality, a sort of inexplicable spark, but there’s also a lot of discipline and study. We can only be defined as “creative” when we find the right balance between these two spirits. What I’ve come to realise over the course of my life is this: if you’re unable to reconcile these two worlds, you’ll never be able to turn what you do into a job. I’ve got two. One – and this is what I always tell my students – don’t trust anyone who does this job without a smile. Two: be curious. You need to keep your eyes open, stay informed, have the desire to learn the things that they don’t teach you in class. An illustrator you are particularly happy to have brought to Illustri over the years. And one you have yet to bring to the festival but hope to in the future. I’m delighted with all of them. 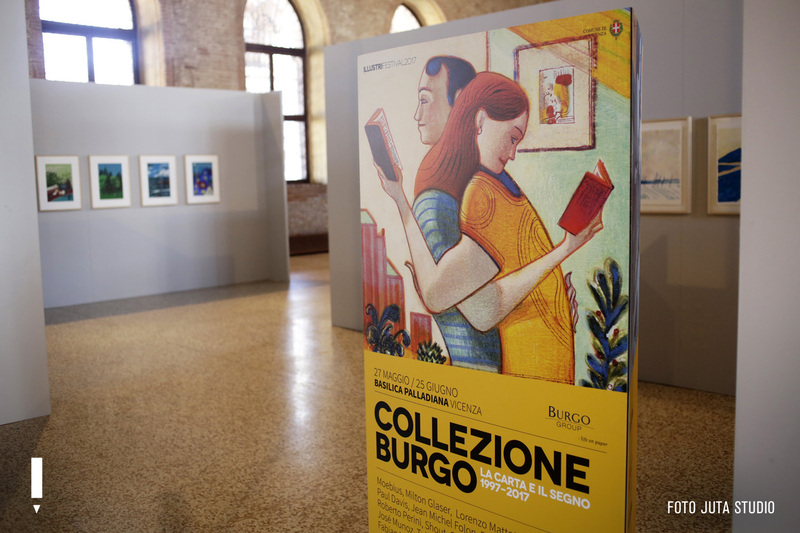 But this year’s highlight has been the very first exhibition of the entire collection from Burgo, the paper company from Vicenza that for the last 20 years has been producing calendars with illustrations by some of the biggest names in the business. We have a collection of over 100 works never before displayed in public. For a cartoon lover like me, holding originals by Moebius was thrilling… something that will stay with me for a long time. Alongside him in the Burgo collection are Mattotti, Glaser, Luzzati, Folon, Muñoz, Davis and many more. Someone I’d love to bring to Illustri in the future is Christoph Niemann, a very well-known German illustrator. I had the pleasure of working with him on a project some time ago and I’m thinking about how to bring him to Vicenza! Developing Successful Identities for a Mr. and Mrs.